This is such a great feature that allows you to create interactive videos in which your viewers will definitely enjoy. Great benefit is that you will gather all lead information about your audience just by implementing this feature to your videos. 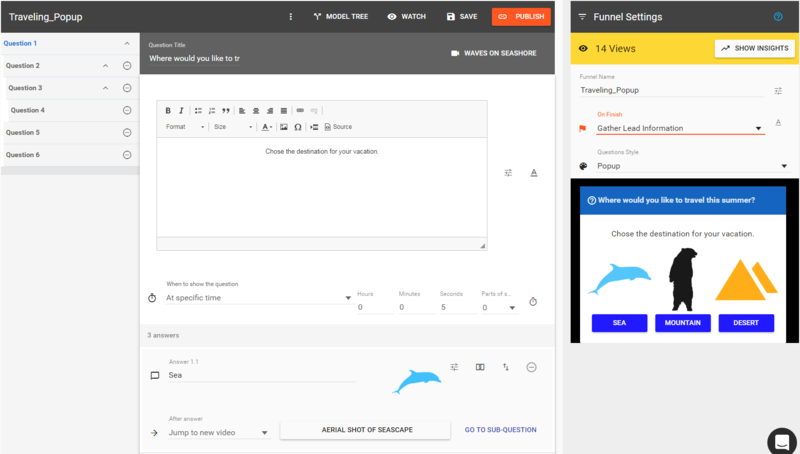 You can also see an example Funnel in action here. Here you will be able to add your questions, sub questions and answers. You can also include your own logo/image for each answer, as well as value for calculating choices at the end. In advanced settings for your answers you can set Custom Value for your answer or Money Value. You can even add some description for your question. This is extremely helpful if you are gathering information and exporting it later on. For example if your question is "What gender are you?" and the answers are "boy" and "girl", you can set value to "male" and "female". Money Value is similar but instead of gathering information it will calculate value for all answers certain viewer clicked on. If your question is "Do you want to upgrade to our latest software version?" for yes you can set money value $XYZ and at the end of the video you will have sum of all money values or answers viewer clicked on. The option After answer allows you to control what happens after some specific answer. While you are creating your funnel, you can also review it in the right corner of your screen. Under Settings, you can customize the style according to your preferences. 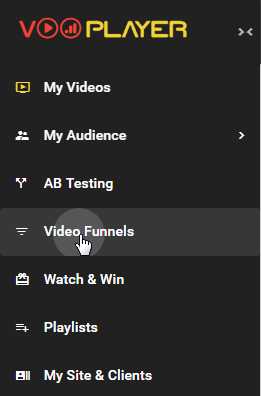 There is an option to set what happens at the end of your funnel video. If you set Gather Lead Information, the form will appear asking your viewers for email. This is behaving just like auto-responder would. Or you can choose to Do Nothing, which will just turn of this form at the end. Question style can be changed from Popup to Overlay. To analyse and research your results and answers go to Funnel Analytics. You can filter your answers, values and collect emails. You can also go to My Audience and find even more options. Check out the article My Audience for that.